The Caracal is an excellent choice for a level 2 mission runner because of its ability to take on frigate packs. It can be either active or passive shield tanked. In fleets its main role is either going to be simple DD, or anti frigate, depending on how you fit it out. With the changes to Heavy Assault Missiles (HAM) and Cruisers, the Caracal is a great solo/small gang kiting ship. Caldari Cruiser should be trained to at least IV to take advantage of the DPS and range buffs that come with each additional skill level. Heavy Missiles, Heavy Assault Missiles, and Light Missiles to V. Heavy Missile Specialization, Heavy Assault Missile Specialization, and Light Missile Specialization to at least I to fit T2 Launchers, which do more damage and are substantially cheaper than meta 4 variants, along with providing the ability to use T2 ammo types. Guided Missile Precision, Target Navigation Prediction and Target Painting to at least IV to combat smaller targets and gain access to the T2 Target Painter module. (Do note, however, that the Target Painter II is generally considered inferior to the meta 4 variation, the Phased Weapon Navigation Array Generation Extron, as the T2 has exactly the same range and effect, but a higher cap usage and fitting requirement than the meta 4 and is often more expensive). Drones V, Combat Drone Operation V, Drone Interfacing IV, Gallente Drone Operation I, and Minmatar Drone Operation I are all are important for getting as much DPS out of the 10m3 drone bay as possible. Shield Operation, Shield Management, and Tactical Shield Manipulation should be trained to at least IV to improve shield capacity, recharge rate and impenetrability. Shield Upgrades should be trained to IV to allow the use of T2 Shield Hardeners and Resistance Amplifiers. EM Shield Compensation, Thermal Shield Compensation, Kinetic Shield Compensation, and Explosive Shield Compensation trained to level IV to further improve shield resistance bonuses from passive shield resistance amplifiers. Kite any rats! Use your missile range to keep the frigates away from you while you pick them off with your missiles. It is possible to Alpha strike a rat frig with ordinary light missiles. If there are rat destroyers and cruisers with the frigates, then take out the frigates first, then the destroyers, then isolate and take out the cruisers. Use an afterburner to stay out of the rats' effective range but inside your missile's optimal. Train your missile skills to increase optimal. 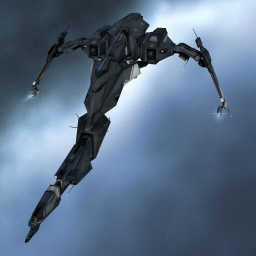 The Caracal has nice bonuses for missiles and is decently fast, so it is a very good kiting ship. With the HAM tweaks, it's good for taking out smaller ships (without using light missiles) that can catch it, while still being able to put a lot of DPS onto larger ships that can't catch it. Basically, you just want to kite away from them, maybe heat your MWD initially if they warp in close/you are on a gate or station, then turn it off as it will burn out quite fast if you don't pay attention. Depending on your missile and cruiser skills you'll want to keep them from 20-30 KM away with HAMs. When you are running low on cap, simply pop a booster charge and keep burning along. Your goal is to avoid getting scrammed at all costs, so try to hit smaller ships that can catch you first and deal with bigger ships later. If there is a big ship that can hit you from afar giving you trouble (for example Abaddon), pull a lot of range (at least 100 KM) and try to split smaller ships off for easy kills. If you are Rapid Light fit, focus on enemy destroyers, frigates, and possibly drones (if necessary). If you intend to target enemy interceptors, you will require more levels of Caldari Cruiser and/or Missile Projection, as the base speed of light missiles is too low for them to catch up with an interceptor. Both of those skills increase your missile velocity (while piloting a Caracal). A missile velocity of over 5000m/s should allow them to catch up with most interceptors. If you are Heavy Missile (HML) or Heavy Assault Missile (HAM) fit, attack the target your FC calls primary. If you are using HAMs but it would be unsafe to get into range to use them on the designated primary, simply switch to attacking smaller ships such as frigates until such a time as you can damage the primary target. If you are kiting, small gang tactics are going to be pretty similar to solo tactics, except that you will likely want to burn in the same direction and be aligned to the same thing as your fleetmates. There are all sorts of small gang compositions that you can try out. For instance: 2-5 Caracals, 1 Bellicose. In this example, the Caracals apply DPS while the Bellicose supports them with Target Painters and help tackle. This page was last modified on 9 April 2017, at 08:39. This page has been accessed 423,975 times.